KAMPALA- Police in Kampala has in custody three armed robbers suspected to be involved in a series of motorcycle thefts in and around the city. 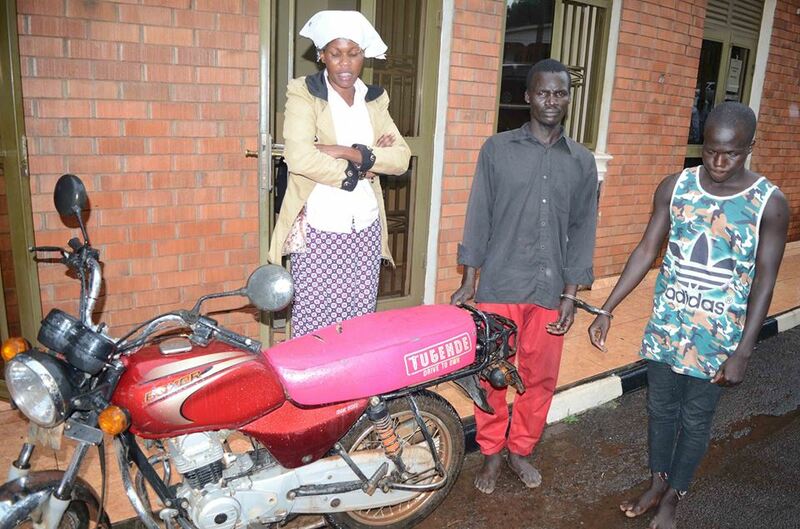 The suspects have been identified as Lawrence Okello a resident of Namawojjolo, Anthony Ouma of Namuwongo and Grace Kahunde, the custodian of suspected stolen motorcycles. An SMG gun has also been recovered. According to police, their arrest followed an operation on the recent murder of a boda-boda rider Wellaci Makumbi, a resident of Kirinya, who was shot dead in Bweyogerere November 30, 2018, and his motorcycle Bajaj Boxer number UEN 922L robbed. Upon the arrest, police say Okello confessed having a hand in shooting Makumbi in the head while working under the orders of his leader Hassan who is still on the run. Okello told the officers that he had met Hassan at one of the buildings along Kiseeka who befriended him and was introduced to a quick money making venture of carrying out high-level motorcycle robbery missions. He said that Hassan brought an SMG gun in a bag which they used to kill Makumbi Kito however he was not paid. 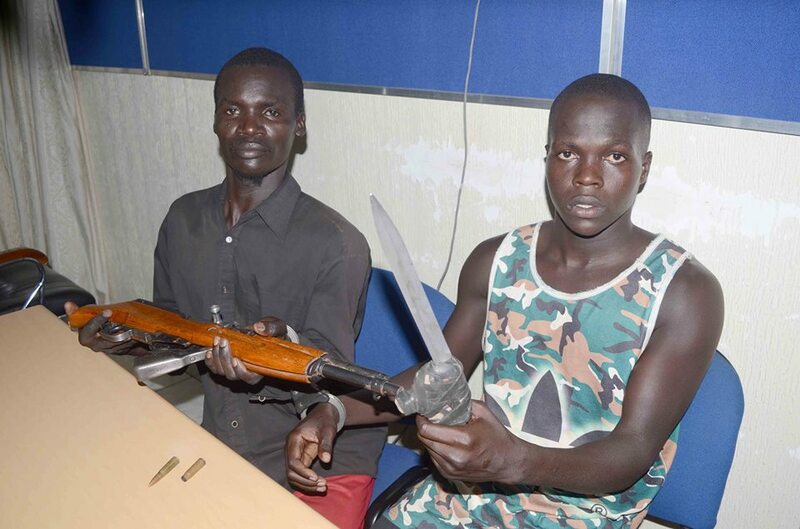 “He told to me to meet him in Namuwongo for my payment as he took off with the robbed motorcycle plus the gun,” confessed Okello who led police to other suspects. Motorcycle belonging to the deceased and an SMG/AK47 gun were found hidden under a table at Kahunde’s home. The suspects are currently detained at Bweyogerere Police Station on charges of murder vide CRB 270/2018 contrary to section 188 and 189 of the Penal Code Act as more investigations are still on going.